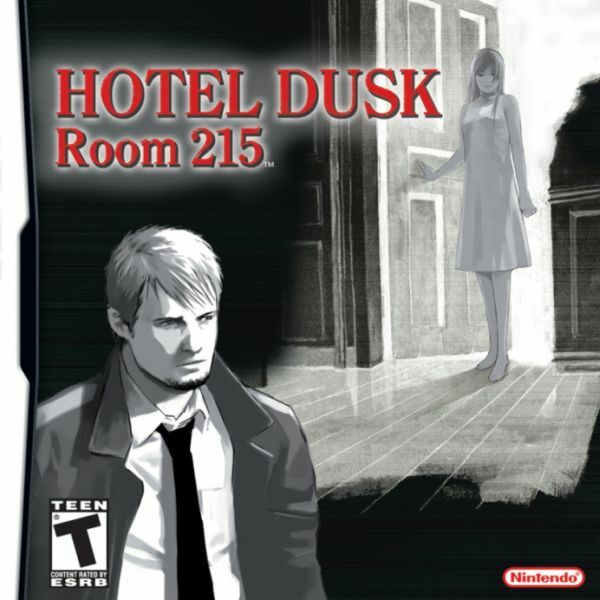 Hotel Dusk: Room 215 font here refers to the font used in the cover artwork of Hotel Dusk: Room 215, which is a point-and-click adventure game for the Nintendo DS. The font used for the game title in the cover is probably ITC Clearface, a transitional serif typeface designed by Victor Caruso in 1978. You can view more details about it here. In addition to Hotel Dusk: Room 215, Clearface typeface is also used in the following logos, movie posters or album covers etc., including: Big Boy Restaurants, Natural Selection, Tommy Boy.